SHOWS: DORTMUND, GERMANY (MARCH 5, 2019) (REUTERS - ACCESS ALL) 1. 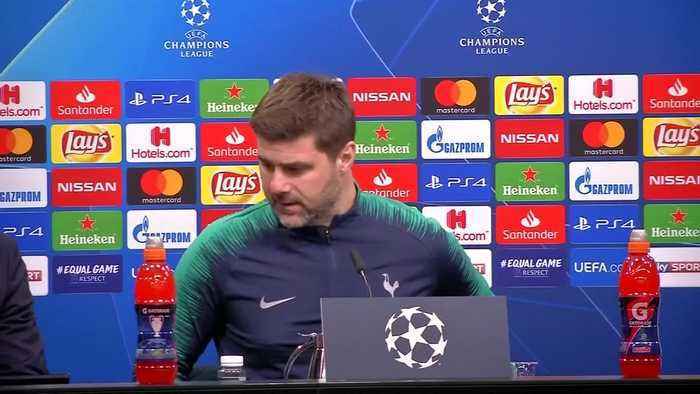 (SOUNDBITE) (English) TOTTENHAM HOTSPUR COACH MAURICIO POCHETTINO , SAYING: "I feel very proud. I am more than happy, first of all for our players. Playing with massive desire in the first leg in Wembley and tonight I think we did a good effort and I want to congratulate the players. Of course I am very proud for our fans and the club. I am more than happy." 2. 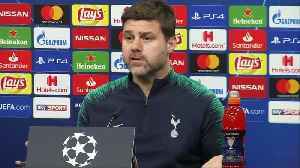 (SOUNDBITE) (English) TOTTENHAM HOTSPUR COACH MAURICIO POCHETTINO , SAYING: "It is a season, a very particular season. There are a lot of circumstances and I think that to help the club to achieve, not only to be in the quarter-final but to be in a good mood in that moment that we change again and to move and to open our new stadium. I think it is a fantastic season and I think it is a season that we are going to remember. Of course we are going to be in the quarter-final, of course it is a massive achievement for the team." 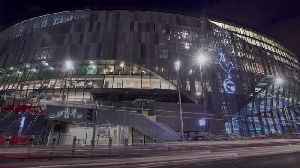 STORY: Tottenham Hotspur beat hosts Borussia Dortmund 1-0 on Tuesday (March 5) thanks to a Harry Kane winner, to stroll into the Champions League quarter-finals for only the second time in their history with a 4-0 aggregate victory. 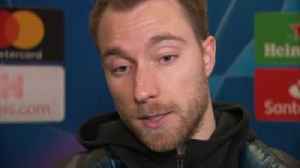 Christian Eriksen believes Tottenham's last-16 Champions League victory against Borussia Dortmund sent a big statement of intent across Europe.